Click here to check the online docket, do a court records search by case number, view a history of your case, and check hearing times. The Clerk of Courts houses all divorce records and dissolution records, and provides certified copies of records upon in-person request. Their phone number is (440) 350-2657. Find interactive forms from the Supreme Court of Ohio. All forms are current as of March 15, 2016. The Supreme Court of Ohio’s guide for parents living apart. Use this guide to create a workable parenting plan for your family. Get information about this helpful online tool for co-parenting. Provides users with an interactive child support worksheet that you can fill out online. When finished, click “Print Full Worksheet.” Bring this worksheet with you to your hearing. Website link with Ohio’s child support payment address and important information for child support payment obligors. Local agency responsible for the collection and enforcement of administrative and court-ordered support payments. Find Ohio Supreme Court forms and information for filing for a Domestic Violence Civil Protection Order. WomenSafe provides emergency shelter and resources to victims of domestic violence in Northeast Ohio. Their services are free and available 24/7. Provides safe, temporary shelter for battered women and their children and offers individual and family counseling, support and advocacy services for victims of domestic violence. Provides information on domestic violence, including information on the law and available community resources. 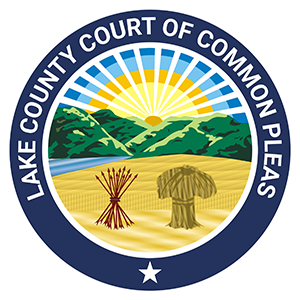 Contact the Lake County Bar Association and obtain lawyer referral information. Contact the Legal Aid Society of Cleveland and obtain lawyer referral information for qualifying individuals. Provides information about the local Public Defender’s Office. Provides information about legal assistance for low-income Ohioans. If your or someone you know is in a crisis situation, call 911 or the Lake County Crisis Hotline at 440-953-8255. Learn about the addiction epidemic and find community resources in Lake County. The Lake County Alcohol, Drug Addiction, and Mental Health Services Board provides information, resources, and advocacy for residents dealing with mental illness or addiction.